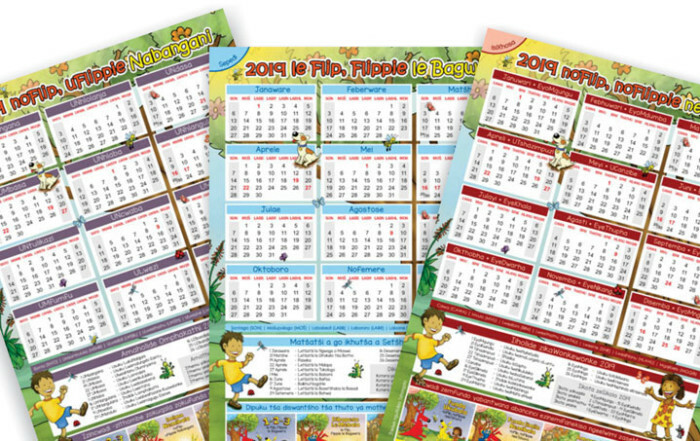 Flip, Flippie and Friends is a series of early-learning children’s books that has been produced to entice and teach South African children in a way that is interesting, fun and where possible, in their mother tongue. Flip, the ‘mother’ or ‘teacher’ figure, takes Flippie and his friends through entertaining twists and turns as they learn new concepts in story form. The available titles are 1-2-3, A-B-C, Shapes and Colours, Seasons, Opposites and Time. Health and Water are our topics in development.